How did you get involved with Blythe House Hospice? I originally came to Blythe House as volunteer receptionist, I also provided admin support to the counselling team. A position became available in The Volunteer Support Team and I was successful on application. In December 2015 I was asked if I would like to support the new Hospice at Home service for 10 hours per week! This soon became my sole role and I now work 30 hours per week. My main task is coordinator for Hospice at Home which involves arranging care for patients in their own home with our team of lovely healthcare assistants. The care can range from a couple of hours to an overnight stay, throughout the High Peak. We currently have 26 patients actively receiving care and 25 healthcare assistants. I usually make arrangements for over 400 visits a month. Every day is a challenge that keeps me on my toes; we are a very busy office and fast paced. All the hospice staff, volunteers and patients are just so lovely and I know this is often said, but we are like one big family. What have you learnt as a result of volunteering and working at Blythe House? Although I volunteered here, I wasn’t looking for a paid position, so I suppose being open to something different is a good lesson. I’m so glad I took that decision as I wouldn’t be doing what I do now if I hadn’t, and actually, I think this is the role I was always meant to do. What would you say to inspire others to find out more about Blythe House and the services it offers? Come and visit us! The biggest misconception when I speak to people about the hospice is that it’s a sad place… Just 15 minutes in the hospice will show you that it is such a positive happy place! A new book showcasing short stories and poems written by High Peak people who have cancer and other life-limiting illnesess, is now available to buy across the borough. The special paperback, called ‘Life is a Mish Mash,’ has been put together by members of a writing group at Blythe House Hospicecare, run by local poet and story-teller, Julian Cohen. 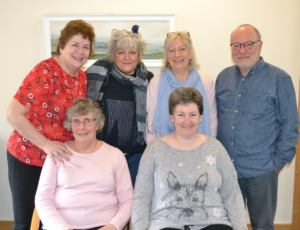 The first writers group was founded in 2015 as part of the Chapel-en-le-Frith hospice’s Living Well Service, offering sessions over several weeks for High Peak patients with cancer or any other life-limiting illness. The latest group, made up of Dawn Haines, Sam Osborne, Sarah Whiteley, Sue Walmsley and Yvonne Reynolds, started in September 2018. Working together over 18 weeks, they decided that they’d like to create a book of their work to raise funds for the hospice. The book is available to buy from reception at Blythe House, or from one of the hospice’s shops in Chapel-en-le-Frith, Buxton, New Mills and Whaley Bridge. With a minimum donation suggestion of £2, all the money raised will go directly to benefitting local people who have cancer or other life-limiting illness, as well as their families and carers. How exiting we can celebrate the past, the present and the future… and we plan to! Look out for all the opportunities to tell your story and celebrate with us. Blythe House Hospice started because of our wonderful Rev Betty Packham who cared for parishioner Stan Blythe in her home until he died. Stan left Betty a £1000 legacy, and she decided to start a service that would support people in the High Peak affected by life-limiting illness. Somewhere in one small room, some special people had a vision and created Blythe House Hospice. The community responded with donations of time and money, volunteers for service provision and the Board of Trustees. And it is both of those groups who have been the backbone of Blythe House Hospice. Trustees such as John McNamara and Dr Simon Cocksedge have devoted decades to Blythe House Hospice, Pat Holland has raised over £100,000 with the marvellous Hallé events. Our Chairman Tim Mourne works tirelessly, you will see him at the Hospice and at every event, both driven and compassionate. And a large number of volunteers have been here since the start, or for decades, doing everything and anything to drive us forward and keep services running. We have seen our income generation teams blossom and grow because of that. We know that if the money stops we stop; it is our volunteers and the generous public that makes sure that it doesn’t stop. They bring warmth, laughter, smiles and so much love into all they do. Their pride is palpable it is the pulse of the organisation. Many professionals have worked across all areas with passion and enthusiasm to bring us where we are, whether you are here now, retired or developing your career somewhere else, whether I have met you or not, I thank you sincerely. We are all shaped by our experiences and it is the people, spirits and experiences within Blythe House Hospice which have given it that special feeling; the one that wraps around you as you enter. It’s bright, it’s warm and it’s spiritually safe however complicated and difficult life may be for people. Throughout change, that vital essence has been nurtured. To stay the same in health care means, paradoxically that we must endure change. It is that well known fact and the climate of austerity that are always our challenges. We have to be able to continue to provide the services needed by our community, changing where we need to and constantly nurturing is how we achieve that. A 30 year history has shown that we see three generations of people, because we care for adults and children, we may see grandma and grandson. Families know us and we know them, one of the magic elements of a small community; connectivity. 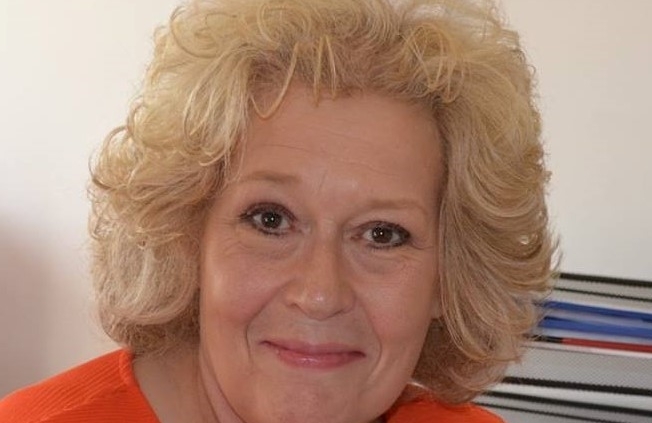 The medical friendship of Dr Sarah Parnacott, Consultant in Palliative Medicine; Pauline Love, End of Life GP; and all our GPs and District Nurses; the team at Ashgate Hospicecare have been a part of the connections that ensures excellent, well communicated care. The volume and quality of work we have delivered evidences how much these services are needed, we know that most care will be delivered in community. Our mission at Blythe House Hospice is to keep this community self-reliant and work with our partners and colleagues in primary care to avoid hospital admission and keep cancer support and end of life care close to home. The generosity of the public has brought us this far, I’m confident that together we can support the next three generations, my team and I are very proud to be taking us forward. If you are reading this you have some interest in what we do and likely support us, you may be one of our fabulous volunteers, so I want to take this opportunity to say thank you, sincerely thank you. We couldn’t do this for you without you. I want to finish where we started with Rev Betty Packham, still close, still giving of her time and spirit – that matters enormously Betty, you are much loved and respected. High Peak people with some spare time are being invited to find out more about volunteering with Blythe House Hospicecare. There are lots of volunteering opportunities open to people aged 16 and over, including shop assistants, counsellors, drivers, caterers and fundraisers – and so many roles behind the scenes too. Volunteer Karan Bradley (left, with patient, Alison) has given her time in a number of roles at Blythe House since 2010, during which she has supported the hospice’s creative arts programme, and the Whaley Bridge department store. Karan has recently become involved in the Community Volunteer Project, which sees her providing practical and emotional support to patients, family members and carers across the borough, in the comfort of their own homes. The Hayfield resident says: ‘I think the wonderful thing about volunteering is that you’re just giving your time; you’re not doing anything particularly special. You’re listening, talking, making time and making a difference to people’s lives. Anyone can volunteer; you don’t have to have lots of experience or qualifications, you just have to be a compassionate person and be able to give a little or a lot of your time. Blythe House Hospicecare was founded in 1989 after local resident, Stan Blythe left a £1,000 legacy to Reverend Betty Packham. We would love for you to help us celebrate 30 years of hospice care in the High Peak by hosting us a party! It doesn’t matter what you do, how you do it or where you do it, it’s who you do it with that matters and the fact you are supporting your local hospice, Blythe House Hospicecare. Please download our fundraising pack request form, fill it in and return it to Blythe House. We will then be able to send you your 30th birthday fundraising pack!